With a population of around 22,000, Kenilworth is a town in the Warwick district of Warwickshire. It has a good range of housing to suit all kinds of tastes and budgets. At My Home Move Conveyancing we offer a specialist, fixed fee conveyancing service, and have been developing our knowledge and expertise of property markets like Kenilworth’s since 2001. If you want to buy or sell property in Kenilworth, you’ll have to instruct property lawyers to carry out the legal work on your behalf. 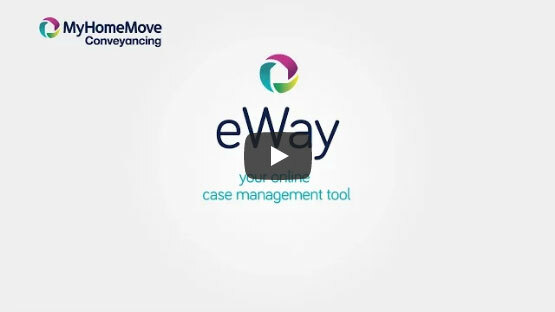 By choosing My Home Move Conveyancing as your Kenilworth conveyancers, you’ll gain access to our award winning customer service, innovative use of technology and expertise in the local market. Our professional, market-leading conveyancing service comes for a fixed fee, so you’ll know exactly what you’re paying from the start. What’s more, if you don’t end up completing, you won’t have to pay us a thing. We assign a dedicated conveyancer to all of our clients, who’ll look after your case from start to finish, and provide you with regular updates on your progress. At My Home Move Conveyancing, we bring a positive approach to everything we do, and get things right at the first time of asking. We supply our conveyancing services in Kenilworth to homebuyers across the area, whether you’re looking for something in the town centre, by green spaces Kenilworth Common and Abbey Fields, or in neighbourhoods like Castle End. The average house price in Warwick is £293,075, while in Kenilworth the overall average sale price during the last year was £343,870. Most sales involved detached homes, which fetched an average of £532,897. Semi-detached properties went for £330,889 and flats for £174,331. Mentioned in the Domesday Book of 1086 as Chinewrde, Kenilworth Castle and an Augustinian priory were both built in the area in the 12th century, bringing growth to the region. Both sites can still be visited to this day, while there’s lots of beautiful countryside to explore in the surrounding area too. Kenilworth is a popular place for people to live and commute to other places to work, such as Coventry, Birmingham and Leamington Spa. The town doesn’t have its own train station, so you’ll be restricted to the road links- but these are good in the area. The M6, M42 and M40 motorways are all within ten miles of Kenilworth, while there are plenty of bus services if you don’t have a car. When you want to go on holiday, Birmingham Airport is close by and can be reached in less than half an hour by car. There’s a good range of schools in the local area to choose between for your children, with primary options including Clinton Primary, Priors Field Primary, and St Nicholas CofE. For older children, Kenilworth School provides secondary education, while Crackley Hall is an independent school and Castle Sixth Form College provides further education. All properties in Kenilworth will fall within one of the following council tax bands.